Android is the most popular mobile platform around the world. Well not only because it is free to have that but also for the features it provide to their consumers these days. And the purest way to experience this is the Pixel phones which Google launches every year along with the new Android versions. The phones have best hardwares, exceptional cameras, and the best software experience with it. But the pricing doesn't seem to much impressing. Recently we saw the Pixel 3 launching with a starting price of 73k INR. That's quite high looking at other phones with same specs. Obviously Pixel phones have way better camera outputs and a great software experience but still the hardware configuration is offered on very less price by other brands. But things may change for the Pixel lovers. As per some leaks, Google recently is going to introduce their first budget range pixel phones. That'll be the biggest relief for the Pixel lovers who are excited to have one but can't find it in their budget. Recently Google was seen with its two code names that can be the model names of that budget pixels. They are named as "Sargo" and "Bonito". Here we are going to discuss some expectations with the brand. Both of the budget Pixel phones can be seen in a polycarbonate body, obviously to match the price. The display will be downgraded to IPS LCD panel but can have the Full HD+ resolution with 18:9 aspect ratio in 5.56 inch screen size, almost like the Pixel 3 (5.5 inch) which was launched in August, 2018. 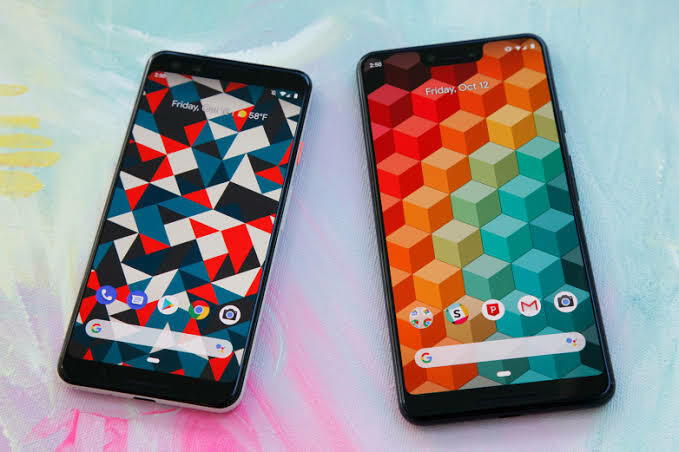 Though the AMOLED panel couldn't give the flagship Pixels the best looks, Google this time has to work good with the IPS panel to justify the price. Because there are already good AMOLED panels in the mid-range segment too. The budget Pixel named "Sargo" can have the Snapdragon 670 SoC while "Bonito" can carry out the Snapdragon 710. Well both the processors are high end mid range chipset that can give the mid rangers from Google a good hardware support. Both the chipsets are based on 10 nm LPP process and supported by powerful internal GPUs. The sd670 has the Adreno 615 and the sd710 has Adreno 616 with it. The maximum clock speeds of them are 2.0 GHz and 2.2 GHz respectively. The software section will be unchanged as Google is the original manufacturer of Android, they always provide the best software experience to the users with Pixel phones. And they are expected to provide the same in the mid range segment also. That's why "Sargo" and "Bonito" will be launched with the stock version of the latest Android Pie (9.0). The cameras of the Pixel phones have already been the best till now. And the budget Pixels from them are also expected to come with the same camera module like the flagship ones, as far the leaks suggest. As the cameras are the biggest USPs of the Pixel phones, Google may not change the camera module. The 12 MP rear camera with OIS and an 8 MP selfie shooter is just enough for a smartphone, that's what Google believes and we also have to accept that. Well both the cameras will have portrait mode with just the single camera. Really, Google has done something like impossible with their cameras. In terms of other specs like batteries and sensors, Google doesn't seems to change anything. And if this is true, we will see the 2915 maH battery with the budget Pixels also. This can be a matter to worry as the IPS panel will consume more juice from the battery. But the most important change we can see is the headphone jack. 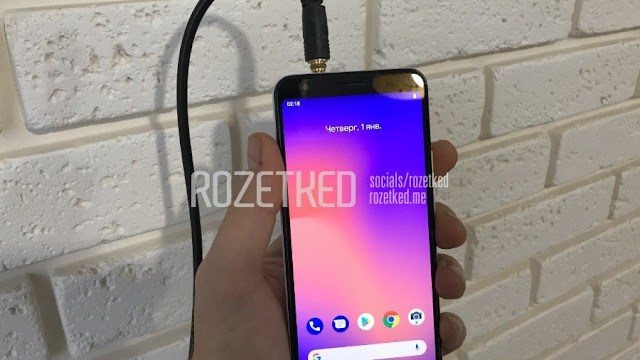 As a budget phone, the budget Pixels must have it in them and the leaks are also saying same thing.But the dual speaker can be neglected by Google. But the most important topic will be the price. As we have already seen the flagship Pixels have not been priced in the perfect bracket till now, the budget Pixels also can be overpriced. This will ruin the excitement of the Pixel lovers. Google must keep it in the right budget, right as a budget device. And it must be a device under 30-35k in India.